The staff from Twin Lakes Resort checked in today with an update from Lower Twin. 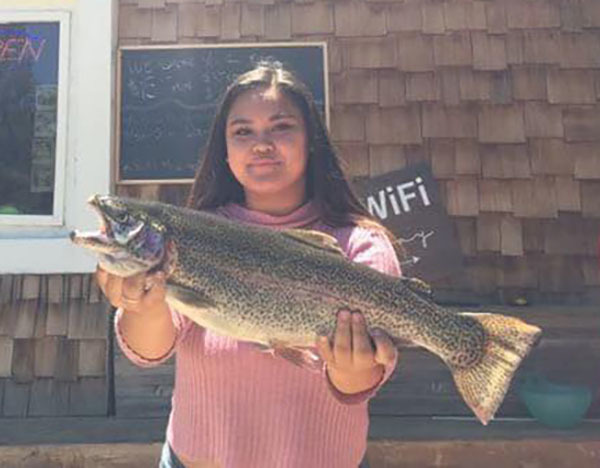 Today Aysha Herrera from Santa Barbara caught this 5 lb Rainbow with an Orange and Yellow Mouse tail. Great job Aysha!